Here are a few posters that were showcased during Comic Con and that have two things in common: They are for movies based on comic books and they embrace the comic book look. First we have the Hellboy 2 poster, illustrated by Mike Mignola, who created the character. Then we have the first Watchmen poster, obviously based on the artwork and covers of the comic books themselves. 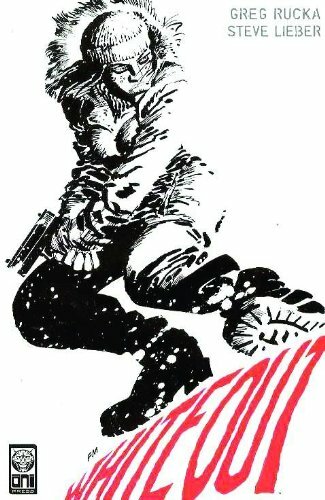 Here is Frank Miller’s version of The Spirit. And finally the Whiteout poster. Although this is not a drawing it is a close reconstruction of the comic book cover. I have to say I like all of these posters, especially the one for The Spirit. There will obviously be new posters for all of these movies. And hopefully some of them will try to expand the audience of the respective movies beyond the comic book fans. But right now these posters give us something to chew on for a while and they should play well with the audience of people likely to be interested in Comic Con. That Whiteout one is great. The one for The Spirit is interesting, but a little too busy to catch the detail. I thought the Spirit one looked a bit too close to Sin City actually for my tastes. If I hadn’t seen the Sin City one I would like it.